On September 29, 2016, about 0600 central daylight time, a Bell 407 helicopter, N361SF, impacted terrain following a loss of control while attempting to land at the Comanche Country Memorial Hospital Heliport (18OK), Lawton, Oklahoma. The pilot and 3 crew members sustained minor injuries and the helicopter was substantially damaged. The helicopter was registered to and operated by Survival Flight Inc. under the provisions of 14 Code of Federal Regulations Part 91 as a positioning flight. Visual meteorological conditions prevailed for the flight which operated on a company flight plan. The pilot reported that he maneuvered the helicopter to align with the helipad. During the descending right turn to the helipad, the pilot input left cyclic and the helicopter was unresponsive. The pilot lost control of the helicopter and it landed hard then collided with a wall. Position Paper : Incorporation of medical team members flying in single-pilot aircraft for challenge-and-response before-take-off confirmation checks. Our objective is the safety and success of all HEMS/HAA flight operations. 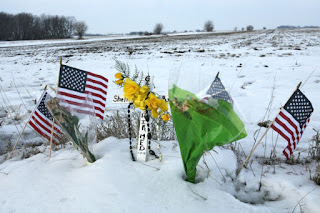 In addition to the tragedy for those involved in a mishap, the catastrophic loss of an aircraft or team significantly damages the reputation and standing of all programs engaged in HAA operations. For this reason, we have agreed to join with other industry stakeholders and advocate for a best-practice concerning the incorporation of trained and briefed medical flight team members for confirmation checks immediately prior to lift off in an EMS helicopter. At present most EMS helicopters in the US are flown by a single pilot. These pilots routinely start the engine(s) and prepare for takeoff using a cockpit “flow” or “wipeout,” that is to say they “DO” start their aircraft from memory, and one or more times during the preparations sequence they are responsible to pick up their checklist and, scanning it rapidly they “VERIFY” that all required steps have been completed. In HAA operations, safety is paramount, but a timely departure is important too, and do-verify has worked well for the vast majority of HAA flights over the years. Having said that, there have been instances in which a pilot, for various reasons, fails to properly configure the aircraft for departure. In response to these events, some operators have added a “confirmation checklist” to be used immediately prior to liftoff. Typically included on this confirmation checklist would be items that, if overlooked, could cause the loss of the aircraft and/or the crew. A customary method of posting the confirmation checklist is for it to be printed on a vinyl sticker which is then affixed to the instrument panel in plain view of the pilot. Unfortunately, the same human-factors which cause a pilot to overlook an item on the do-verify engine start and before take-off checklist procedures can cause a pilot to overlook the same items on the confirmation sticker. Such errors of omission have resulted in damage or destruction of several aircraft, serious injury to crew members and pilots, and, in at least one incident, a fatality. The tenets of crew-resource-management dictate that we use “every resource available to us” for the safe, orderly, and expeditious accomplishment of our assigned flight tasks. A medical team member, while not “flight crew” per se, and while not regulated by the FAA (second crew member for NVG flight ops below 300 feet excepted) does, over time, become intimately familiar with flight operations. As well these medical team members have a vested interest in safety, as their lives are on the line right next to the pilot’s. In many US flight programs, the decision has been made to have a medical team member act as an additional layer of safety by having that person read a before take-off checklist or confirmation checklist in the manner of “challenge and response,” This practice does not absolve the pilot of responsibility to ensure that all steps are accomplished. It simply incorporates a resource that is sitting there. In FAA publication 8900-1 paragraph 3-3403, the FAA refers to this method as "Challenge-Do-Verify." We use the term challenge and response for clarity and brevity. A flight-team member refers to a list and issues a challenge. A second person - normally the pilot - verifies that the step is complete by looking and touching, then responds appropriately. Involving two people reduces the chance for a single point of failure. At times the medical team is busy caring for a patient – but the request by the pilot for the “checklist please” is a clear alert that the aircraft is preparing to depart. This enhances everyone’s situational awareness, and in all but the most extreme patient-care situations (for example, CPR in progress), at least one team member can take the few seconds required for the challenges. Hydraulic switches set and checked. At least three Astars have been damaged or destroyed for hydraulic switch(es) set incorrectly. A news helicopter in the US was also destroyed for this error of omission and a person on the ground was killed. Fuel transfer switches set “on.” At least two BK-117 aircraft have been extensively damaged due to the transfer switches set to “off.” One pilot was paralyzed. In Scotland, a police helicopter crashed through the roof of the Klutha Pub after supply tanks became empty with transfer pumps off, killing several persons on the ground in addition to the crew on board. Internal and external light switches set, caution panel checked. In a BK-117, having the instrument light potentiometers/rheostats set to “on” during periods of daylight renders the caution segments and master caution lights too dim to see. This error of omission strikes in conjunction with the fuel transfer switches being left off. When the low fuel lights and master caution lights come on the pilot can’t see this during daylight conditions. Drugs and mission equipment checked. This is an example of an optional item that may be included in a confirmation or BTO checklist. In more than one instance, an aircraft has departed without the required meds or equipment. This renders the aircraft and team not-mission-ready, and often requires a time-consuming delay, which is less than optimal for patient care. Obviously, the list of items on the confirmation checklist should be kept as short as possible. In this case, the medical team member calling out the challenge would either respond him or herself or would look to the second medical team member for a verbal response. With the clarity of hindsight, it is apparent that the vast majority of HAA flight operations are conducted smoothly, safely, and to the benefit of the patients we fly. But our goal is ZERO aircraft destroyed and ZERO teams/pilots/patients injured or killed. The cost of the recommendation we have laid out here is insignificant. The delay that this practice will entail - ten or twenty seconds - is insignificant. The significance of not losing lives to an error of omission cannot be overemphasized. Please consider incorporating this recommendation as a “best practice” for HAA operations. Miles Dunagan, Current president of the National EMS Pilots Association. Active EMS pilot. Kurt Williams, Immediate past president of the National EMS Pilots Association. Former EMS pilot. Manager for a large HAA provider. Rex Alexander, Past president of the National EMS Pilots Association. Former EMS Pilot. 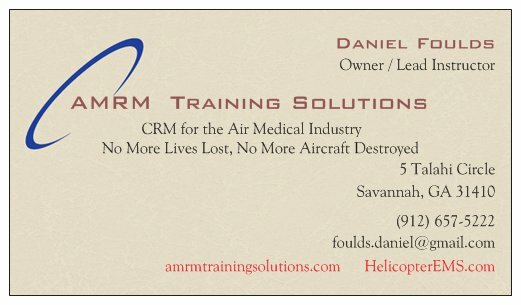 Former regional manager for Omnflight Helicopters. Industry expert. Justin Laenen, Member, National EMS Pilots Association Board of Directors. Current EMS pilot. Sam Matta, Co-founder of E.C.H.O. Active EMS flight nurse. Combat veteran. Krista Haugen, Co-founder of the Survivor’s Network for Air Medical transport. Trained AMRM facilitator. Flight Nurse. Crash survivor - takeoff with one motor at ground idle. Colin Henry. HEMS expert, safety consultant. Former director of safety, Medflight of Ohio. Former chief pilot, Omniflight Helicopters. Colin writes, "On point! This is about Human Factors and not about good piloting skills." Peter Carros. Retired military helicopter pilot. Former HEMS pilot. 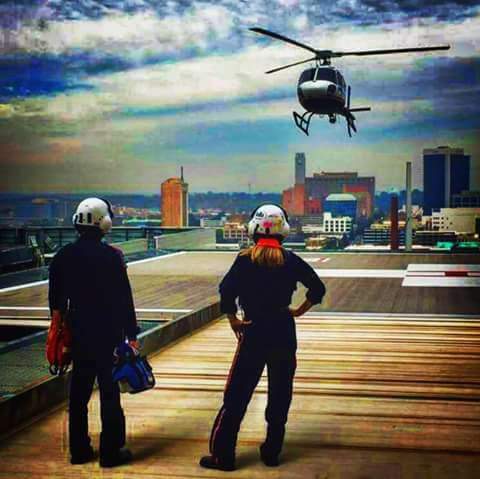 Safety Manager - Geisinger Life Flight, Danille PA.
Additionally, some variation of this practice is already in effect at numerous flight programs across the United States. 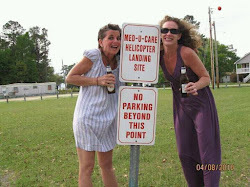 disclaimer: This is not intended to suggest any action not in accordance with federal aviation regulations. Consult appropriate oversight personnel before implementing any change to flight procedures.